All the live tweets and updates from the crucial match between RCB and CSK. Chennai won the toss and elected to bat first. Dhoni said that he expects the wicket to slow down later in the match. After 3 overs, CSK have made their way to 21. RCB's bowlers have pretty much managed to keep the CSK openers in check. A six off the last ball of the third over has given the CSK team a momentary push. After 4 overs, CSK 25-0. Smith and McCullum have been steady if not spectacular. WICKET! And that's another wkt for RCB. Smith walking back, Aaron the bowler. Just too quick. CSK 29-2, Smith got 9. Both the openers are back in the hut now. Time for the other CSK batsmen to do some batting. Hussey is in next. Wow. Muralitharan is 42 but he can still probably turn the ball on marble. What a bowler! After 7 overs, CSK 45-2. Just three runs from the Chahal over. RCB have things in check. After 8 overs, CSK are 48-2. It doesn't look like a great batting wicket. The pacers and the spinners are both getting help from the track and shot-making hasn't been easy. Good decision to bat first. After 9 overs, CSK 52-2. Hussey has struggled to read Murali but if CSK can get anything in the region of 140, they will make a match out of this. After 10 overs, CSK are 55-2. It's rather hard to believe -- it is their lowest score after 10 overs in IPL 7. Someone in CSK needs to get a move on... the smart money will be on Raina. After 12 overs, CSK have made their way to 77-2. They are starting to run between the wickets aggressively but have still not brought out the big shots. And here we go. Hussey has had enough... brings up the 50-run partnership (off 47 balls) with a six. CSK 83-2. After 13 overs, CSK are 92-2. They have a superb platform now and the rest of the line-up can go crazy without too many worries. Murali kicks it for four! 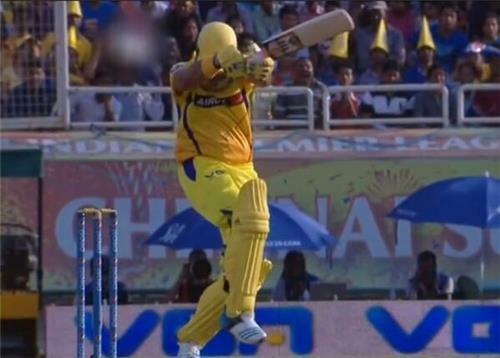 CSK and Raina get four more runs. Football World Cup fever? CSK 101-2 after 14 overs. Dhoni is in the middle. And he isn't wearing a helmet. CSK 105-3 after 14.4 ovs.